When developing a promotion strategy for your small business, you want to make sure you’re spending your time and money effectively. All too often, we get caught up in day-to-day tasks and forget to take a step back and evaluate if our efforts are actually giving us the results we’re looking for. For example, you might find yourself putting a ton of time and effort into your email marketing and monthly newsletters. While it’s important to focus on creating great emails and building your list, it’s just as important to make sure you’re actually engaging your subscribers once they opt-in. According to Kissmetrics, an average of 60% of many email lists are filled with “dead” subscribers. Essentially, this means that over half of the people who opted in to receive a brand’s emails don’t actually engage with the content that’s being sent to them—they’re not opening emails, and therefore they’re not doing anything with the information. This is a shocking statistic, and it means that brands have to work extra hard to win over their readers and keep them interested after they initially subscribe. However, don’t let this discourage you, email marketing is an amazing way to grow your audience and stay connected with your loyal fans. Read on as we share some must-know stats about email marketing and some ways you can engage your current subscribers! There’s a reason businesses today continue to invest in email marketing. Yes, social media is huge, but there’s nothing like being able to send a message right to your customer’s inbox! There is so much flexibility that comes with email marketing and you can really tailor it to reach specific segments of your audience. According to a 2016 report, email will be used by 3 billion people by 2020 (that’s almost half of the world’s population!). 205 billion emails are sent every day, proving that email is still one of the most popular forms of communication. For every $1 you spend on email marketing, you can expect an average return of $38. According to 80% of professionals, email marketing drives customer acquisition and retention. 72% of consumers prefer email as their source of business communication. 61% of consumers enjoy receiving promotional emails weekly. Here are simple ways to improve your email marketing efforts and ensure you’re keeping your subscribers happy and engaged! Before doing anything to re-engage your “dead” subscribers, you have to actually define what it means to be an inactive subscriber. Many marketers define this by looking at who from their list hasn’t engaged in 6-12 months. This includes subscribers who haven’t opened, responded to, or acted on any of the emails you’ve sent. 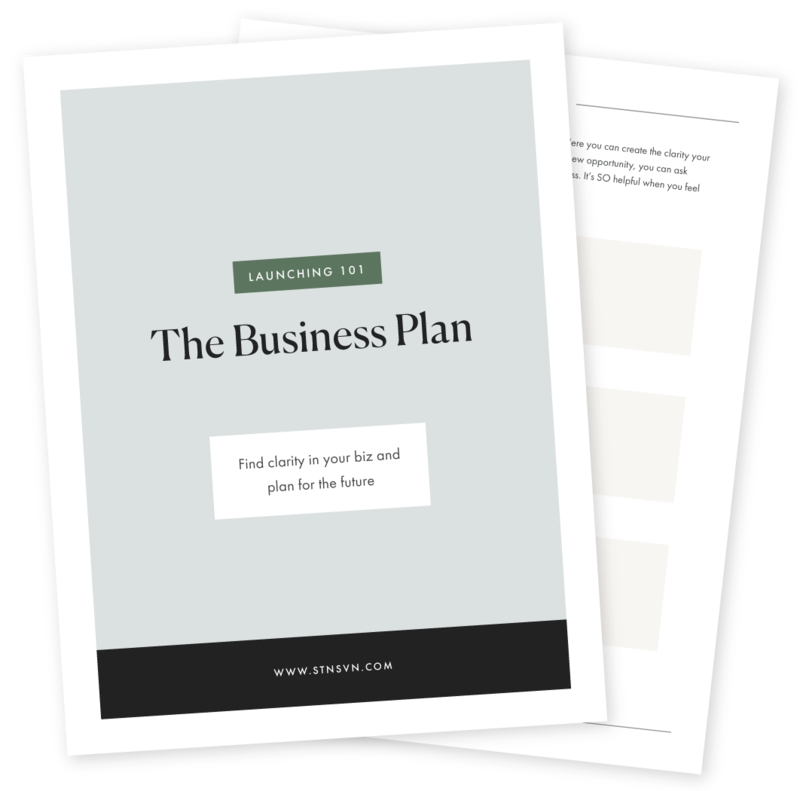 Once you’ve determined who from your list is inactive, you can develop a strategy to win them back. In many cases, subscribers go inactive because they’re no longer checking the email they provided you with, or their inbox is so cluttered that they never get around to opening your emails. If this is the case, start by giving these subscribers the opportunity to update their contact information. If they’re loyal to your brand, they’ll likely provide you with their new email address. Sometimes all it takes is a gentle reminder to get on their radar again! People love options. There’s nothing worse than when a brand bombards your inbox, so when you allow your readers to choose the types of content they receive from you, they’ll be much more likely to subscribe in the first place! Below is an example of how blogger Julia Hengel from Gal Meets Glam provides her audience with options. As you can see, Julia categorizes the different types of emails she sends so if someone were to only want to receive new posts updates and weekly roundups, they can specify this! Plus, by clicking on the little question marks beside each section, you’re provided with a brief summary of what that particular category of emails entails. This method can also be used to re-engage your inactive subscribers. Simply prompt them to update their preferences, because maybe after some time they realized they only want to be notified when you’ve added a new post. They’ll appreciate your transparency and willingness to cater to their needs! It’s so important to really get to know your audience. What are they interested in? What are their likes and dislikes? What excites them? The more you know about your subscribers, the more you can really cater to them and create compelling, relevant content. For example, MyFitnessPal (a free calorie counter app) knows that their subscribers are into health and fitness. Rather than using their emails to just push how great their app is and to sign up today, they provide helpful information that’s relevant to their audience. An email with a subject line like ‘5 Yoga Poses to Energize Your Morning’ is much more compelling than email with a subject line like ‘The Benefits of Using MyFitnessPal.’ Remember that your audience appreciates when you cater to their needs rather than your own. Also, sharing information-rich content will help you to establish credibility in your niche, and your audience will begin to see you as a valuable resource! One of the most amazing things about email marketing is that you can segment your audience. By segmenting your list, you can create innovative and effective campaigns that appeal to your different types of subscribers. Once you’ve gathered this information, you can really start making the most out of email marketing. For example, let’s say you own a granola bar company and you find that 35% of your subscribers are working moms. If this is the case, consider sending out emails with subject lines like ‘3 Easy After School Snack Ideas’ or ‘5 Tips for Packing Healthy School Lunches.’ When this segment of your audience receives emails like this, they’ll be so much more inclined to give it a read! If you find that your email list is becoming more and more inactive, it’s time to do some digging and find out why. One of the best ways to do this is to go right to your subscribers themselves! Consider putting together a survey to find out what your list thinks of you. This can really help you to determine what you’re doing well and what areas you need to improve in. Your survey results might tell you that your subscribers love when you share information about sales, but don’t love the inconsistency of when you send them. 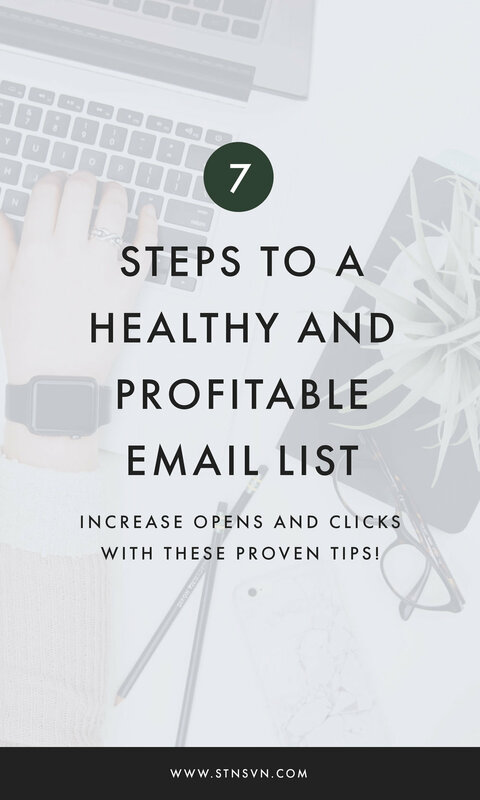 Or, maybe your list doesn’t love the large amount of emails you send, which is where allowing your subscribers to choose the types of emails they receive might come in handy! Why did you initially subscribe to our email list? What were your expectations when subscribing? Were these expectations met? Why or why not? How can we improve our email communication? There are a ton of great resources out there for creating professional quality surveys, like Survey Anyplace. With this tool, you can really customize your surveys in order to get the data you need. Plus, it’s easy to create reports in order to analyze your data. Remember that when you’re contacting your subscribers to participate in your survey, always offer some kind of incentive! Maybe you can provide them with a 20% off coupon, a free webinar, or even a gift card. This will help you to get more participants and therefore a more accurate look at how your audience perceives you. Perhaps one of the most commonly asked questions about email marketing is how often you should actually send emails. You certainly don’t want to bombard subscribers (69% of users unsubscribe due to ‘too many emails’), yet at the same time, you want to email them enough so that you can stay on their radar. Your competitors. While you never want to copy your competitors, evaluating their strategy is a great way to perfect your own. Take a look at how often your competitors send emails, the type of emails they send, and whether or not this is working for them. Take this information into consideration when crafting your own email marketing plan, but at the same time remember that your strategy should be customized for your brand and your unique audience. What you’re trying to promote. The number of emails you send depends on what you offer! For example, if you’re a fashion blogger, it may make sense to send daily emails with details from your #OOTD. On the other hand, if you’re a Christmas tree company, it makes sense to ramp up your emails during the holiday season and send out emails less frequently the rest of the year. The motive behind the email. Whenever you send out an email, you should have a specific purpose in mind. Is it to promote one of your products? Prompt subscribers to fill out a form? Generate brand awareness? Let subscribers know about your latest blog post? Once you’ve determined the purpose behind the different emails you send, you can set your schedule accordingly. For example, you may want to stick to 2 blog post round-ups and 2 promotional emails each week to create a good balance. Last but not least, great emails always include a strong call-to-action (or several). If you don’t tell your subscribers what you want them to do after reading your email, the chances that they’ll actually do it are slim! 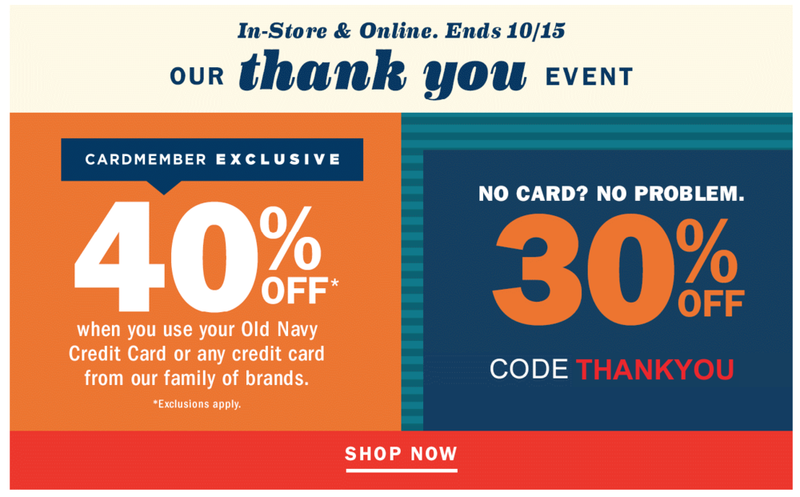 Within this one email, Old Navy announces a sale they currently have going on, yet they also prompt you to find a store near you (to shop, of course!) and sign up to receive mobile text alerts. By doing this, the brand really makes it easy for you to stay connected, which is the end goal of email marketing! Now, we know what you might be thinking…"Won’t I sound too salesy or pushy?" While this is a possibility, you would be surprised at what a great CTA can do. In the example above, someone might not shop Old Navy’s 30% off sale, but if they sign up to receive mobile alerts, this gives them the chance to make a purchase later on. A great tip when it comes to determining whether or not your CTAs are working is to run some A/B testing. Create two versions of emails with different CTAs and send them out. From here, you can analyze the performance of each to determine which was more effective! Remember that if something isn’t working, you can always modify your approach. Overall, email marketing is an amazing way to grow your audience and engage with your current following. Take these tips into consideration when developing your strategy and watch your list of subscribers grow! What are your favorite email marketing tips? Let us know in the comments below!